Samsung has a Galaxy of apps for its smartphones. Samsung, like most Android smartphone and tablet manufacturers, has an ecosystem of apps, many of which are pre-installed on Galaxy S smartphones, though there are others that you can download in the Google Play Store. Whether you want to track your workouts, transfer data, take notes, or make mobile payments, Samsung has you covered. 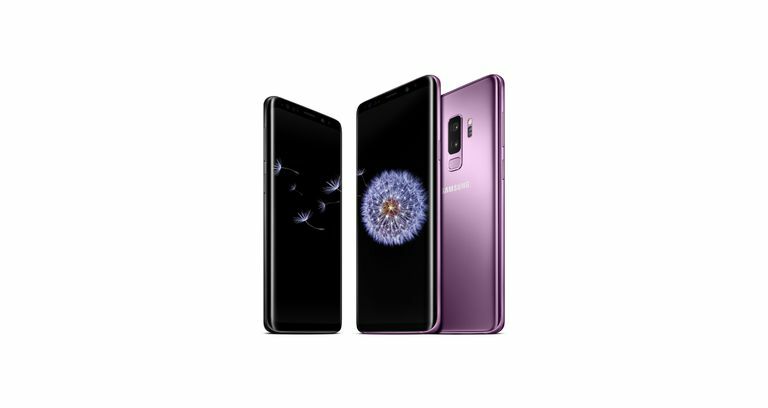 In addition to the ones we describe below, Samsung also has apps for its Galaxy Edge line of smartphones as well as a virtual assistant called Bixby, which supplanted the S Voice app that managed voice commands on early Galaxy devices. Samsung+ is a premium customer support app that offers live help and other resources. Here are five apps worth highlighting—and worth downloading. Scan your credit cards or add them manually. Samsung Pay works with the Galaxy S6 and newer smartphones that run Android 5.1.1 (Lollipop) or a later version of the OS. Like Apple and Google Pay, Samsung Pay lets you swipe your phone at checkout to pay. It has a technology, though, that works with nearly all credit card machines, not just those that support mobile payments. Usable at many credit card outlets. Make payments with your Galaxy Watch. Uses old magnetic strip technology. Measure your heart rate using a built-in sensor. Samsung Health, which replaces S Health, can measure your heart rate as well as track your running, cycling, and sleep as well as food and water intake. Some Samsung smartphones have built-in heart rate sensors next to the primary camera. Place your finger on the sensor and wait while it takes your measurement. You can link Galaxy smartwatches with Samsung Health, as well as compatible scales, glucose monitors, bike speed sensors, blood pressure monitors, and more. Compatible third-party apps include MapMyRun, MyFitnessPal, and Endomondo. Integrates with numerous health apps. No accessible via the web. You can type, make drawings, add images, and even dial phone numbers from the app. Samsung Notes, which replaces S Notes, is a repository for your notes, images, voice recordings, and music. You can import files from the S Note app too. You add text by typing or using your finger or S Pen to write. There's also a brush tool for drawings. If you type out a phone number, as we did above, you can tap on that number to make a call. You can also lock notes with a password that you want to keep private. Works well with the S Pen. Integrated with email, phone and web. Only one, plain default background. Action note no longer supported. Easily check for compatibility within the app. SmartThings is Samsung's take on home automation control. With it, you can control compatible smart devices and appliances from home or remotely. When you fire up the app, it will scan your wireless network for available units, and you can also add them manually through the app and check compatibility. Supports many third party devices. Design is not very flashy. Adding devices can be complicated. Transfer contacts, photos, and other data to a new Galaxy device. Move contacts, music, photos, calendar, text messages, and device settings to your Samsung Galaxy from another Android smartphone or an iPhone. Samsung Smart Switch uses a direct WiFi connection to move data from one Android device to another, while iPhone transfers can be completed with a wired connection or through iTunes. Just install the app on both phones and follow the on-screen directions; it's easy. PC app available for full backups. May not always transfer app data. Larger transfers can get complicated.